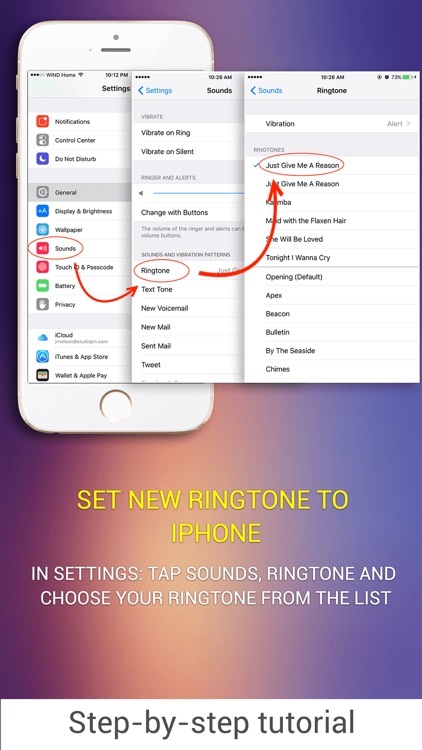 Now you have the ability to personalize your iPhone creating your own ringtones, text tones and other alert tones. 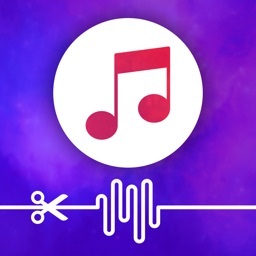 Choose the soundtrack you want to use as your ringtone, specify the type of your alert, then choose the required segment from the audio track and tap ‘save’. It’s really easy! 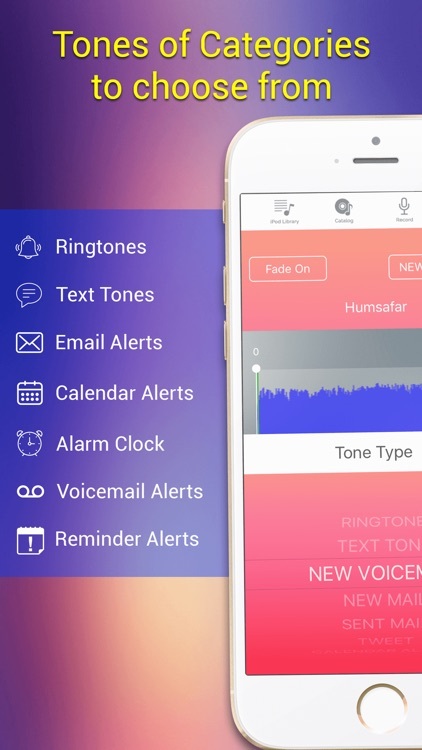 Want to Customize your ringtone or Alert tone ? 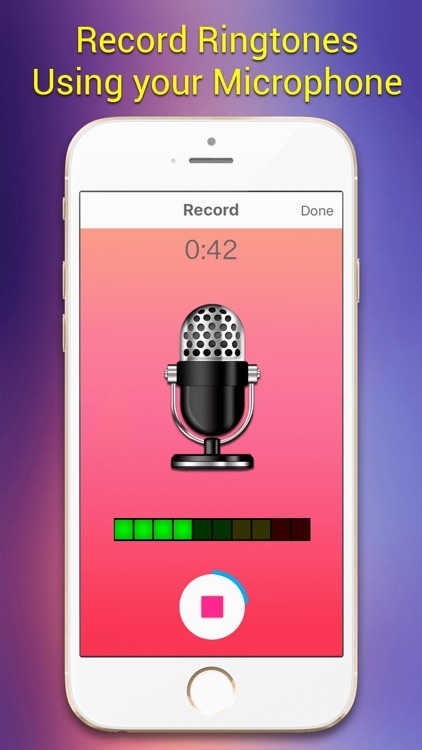 √ Make your incoming phone call AWESOME and UNIQUE. 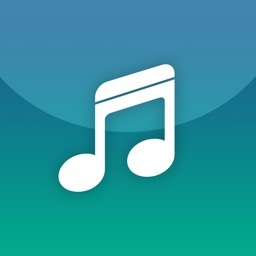 √ Set your own ringtone as Alarm Clock music, let your FAVORITE song wake you up in the morning. 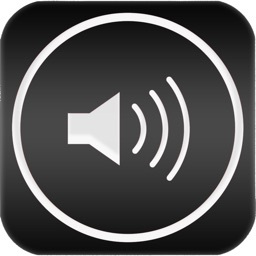 √ Use DESIGNED ringtone as Timer music. √ Full iPhone 5, 5c and 5s Support! 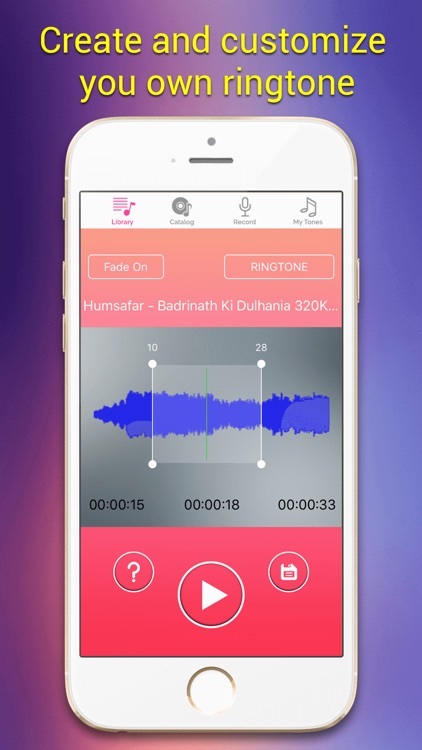 √ Skins Support + New iOS 7 Style Skin! 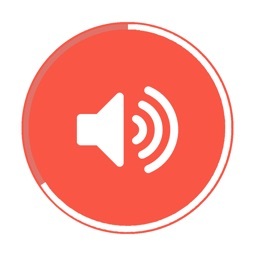 √ Intuitive graphics and easy to use. 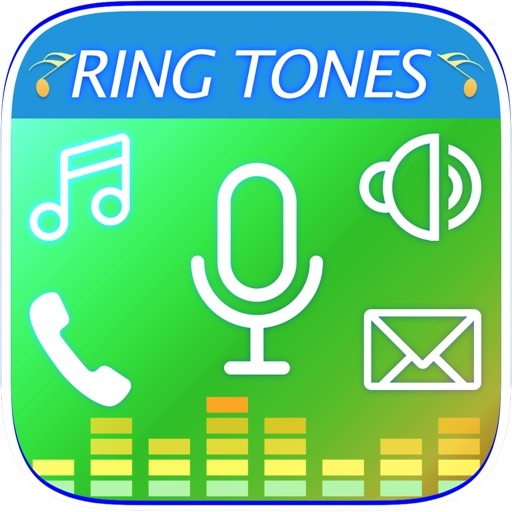 - To install your ringtones, sms/mail/calendar/alarm and other tones and alerts you will have to follow our instructions and then sync your device with iTunes. 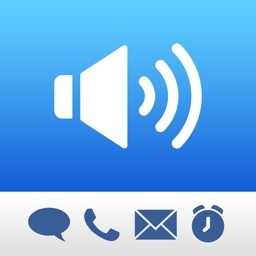 - Sms/mail/calendar/alarm and other tones and alerts setup is available only for iOS 5.0 and 6.0. - iPhone 3G is not supported due to iOS restrictions.